Kapiolani Children's Miracle Network's 12 Days of Giving: Aloha Winnie! – Dairy Queen Corp.
Kapiolani Children's Miracle Network's 12 Days of Giving: Aloha Winnie! This holiday season, Kapi‘olani Health Foundation is celebrating 12 Days of Giving. During this time, we’ll share inspirational stories and how donations from our generous community impact the care of our keiki. For day one, we want to highlight our Chief Canine Officer Winnie that is supported by donations to the Animal Assisted Therapy Program. A visit from Winnie can brighten a hospitalized child’s day or offer unspoken support during a difficult time in treatment for patients and families. Donations to the Animal Assisted Therapy fund go towards Winnie’s specialized training and her community activities. 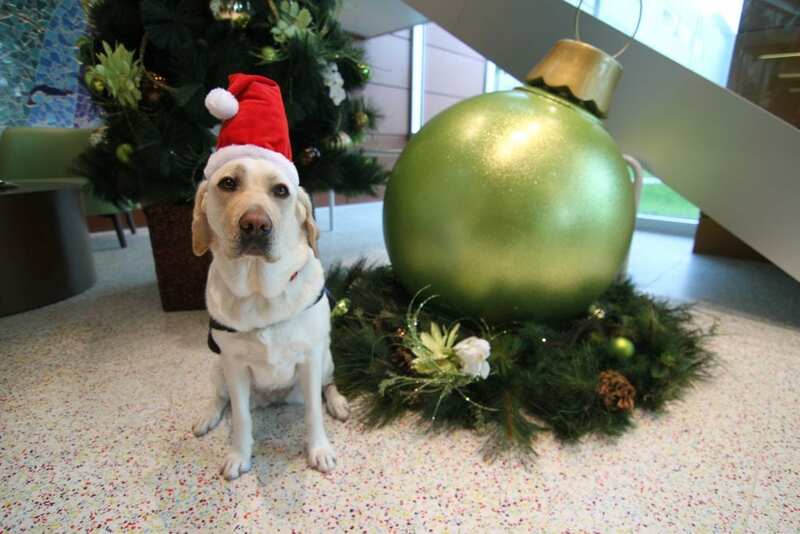 During this time of year, the yellow Labrador can often be found wearing her holiday attire! To donate today, please go to give2kapiolani.org or click the Donate button above!